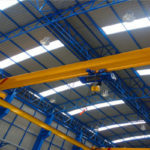 European overhead crane has good performance and strong structure. It belongs to the new generation lifting equipment in construction machinery. In addition, the product has light weight and light wheel load. Generally speaking, using high quality parts can reduce the failure rate and entire costs for customers. 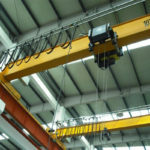 Our company adheres to the quality of survival, innovation and development of the lifting crane. The production of high quality products can work in different working sites. Throughout the entire production process, the provision of quality services can reflect in the pre-sale, sale, after-sales all around. 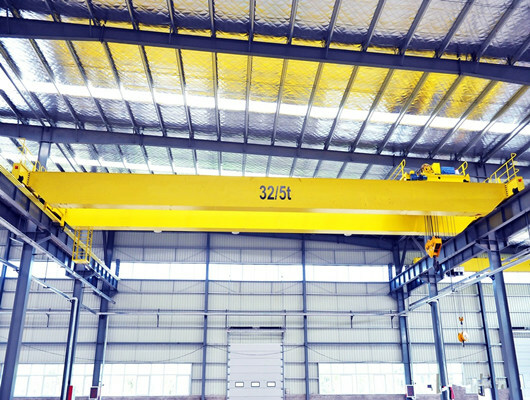 As the leading manufacturer and supplier, our group has abound experience to design our EOT overhead crane. If the customers want to customize the products, we can meet the reasonable needs. In addition, we can provide the clients with reasonable discount. 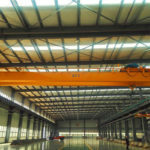 Our company integrates research and development, production, sales and service of various bridge cranes an has mature technology, high quality products and first-class service. 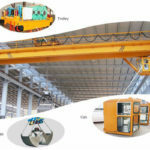 The company regards the production of all kinds of large cranes and various other lifting equipment as its leading products. All products are designed and produced according to national standards. At the same time, various non-standard products can be designed and manufactured according to user requirements. Keeping a close eye on the world’s first-time technology, focusing on existing products, and constantly introducing new products to meet user needs is the eternal goal pursued by the company. 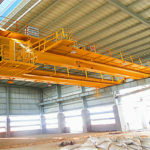 In fact, the bridge crane is a kind of mechanical equipment with excellent practical performance. It not only has a generalized application range performance, but also has a very good service life performance, which can bring users a rich economic return of equipment use. Allows people to get comfortable satisfaction. 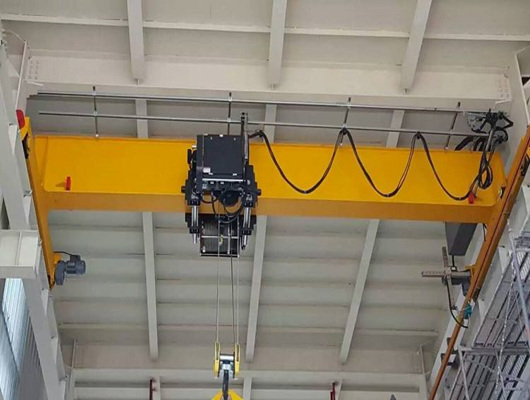 In addition, the bridge crane is also more affordable and rational in terms of product price positioning, so that consumers can rest assured that they can purchase and use without worrying about the high price of equipment, which make people’s lives more convenient. The traditional bridge crane is one of the most widely used mechanical equipment. However, the traditional bridge cranes are limited by the traditional design concept, the product weight is too large, the manufacturing cost is too high, and the running energy is high. Our company adopts modern design theory and scientific design method to lightly design traditional products, which can achieve energy saving, material saving and power saving. It is one of the key tasks of European bridge crane product upgrading. Our company’s double-girder bridge cranes (ordinary double-beam, European double-beam, hoist double) trolley power supply mode has been changed from the original towline structure. It has anti-corrosion and light weight, which can effectively reduce the driving force. 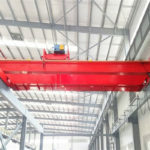 Even in the case of weight bearing, it can still meet the long-stroke safe operation and reform for large-scale traditional cranes. Due to the length of the stroke and the bearing deformation of the beam, the trolley is prone to the problem of deviation. The floating head on the towline structure can effectively compensate the lateral displacement of the trolley and ensure that the towline runs in a straight line in the guiding slot. Compared with the tow, it not only improves the appearance quality of the product, but also improves the intrinsic quality of the product. 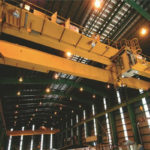 It is widely used in material handling of workshops, warehouses, etc. in machinery manufacturing, metallurgy, petroleum, petrochemical, port, railway, civil aviation, electric power, food, paper, building materials, electronics and other industries. 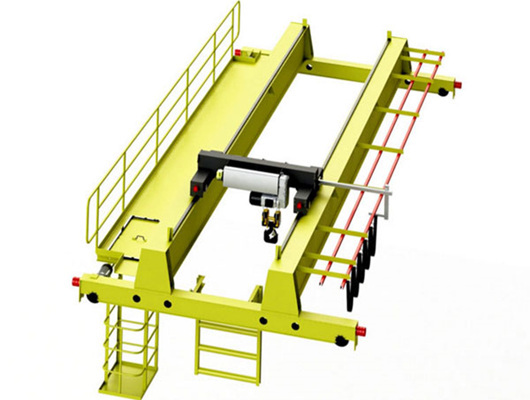 It is especially suitable for materials handling requiring precise positioning and precision assembly of large parts. The box beam with computer optimization design is used as the main load beam. The trolley with the wire rope hoist has a small height, which makes the hook size more reasonable and has a wider working range. Unique wheel frame design, which is convenient for adjustment and installation and solid structure. The motor has a high degree of protection and insulation, and is equipped with an optional overload protector. The gear box specially designed for the crane adopts helical gear and self-lubricating. The flashlight door can be connected to the trolley, or it can move freely on the main beam separately, and can control the speed of the running speed according to the depth of the button. 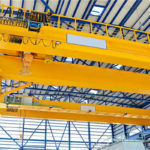 working level makes the crane last longer and work more efficiently. The lifting speed and the running speed of the trolley increase the handling efficiency. 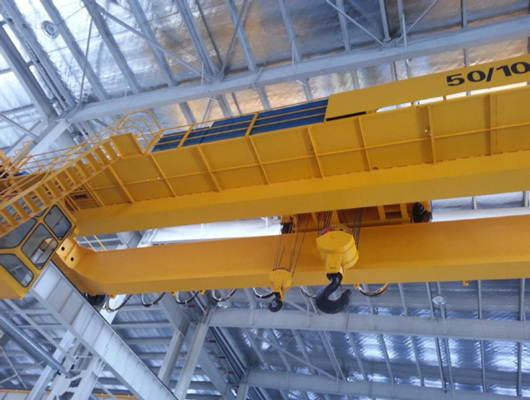 The running speed is controlled by step speed regulation, so the crane runs smoothly and the shaking is small. The hook has a small limit size and high space utilization. 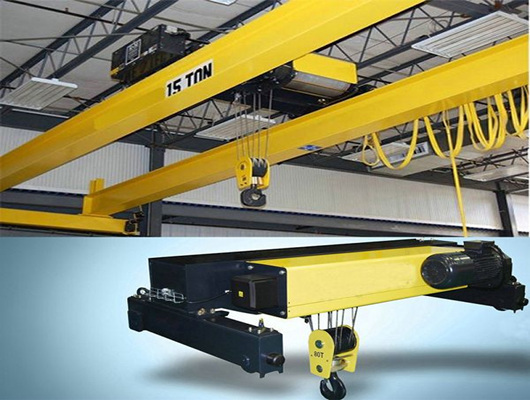 European overhead crane with hook has many advantages with light weight and strong performance. The hook can help the lifting equipment handle the various materials. The professional products of Weihua have been popular in recent years, and the special features of each new product are greatly appreciated, and are highly praised by customers. Through the joint efforts of the leaders and the employees, we have created many achievements. Our company is also committed to making products that meet the needs of different users, serve with heart and speak with quality. With a scientific management system, convenient transportation conditions, strong production capacity, advanced testing methods and a strong sales network. The single-girder bridge crane manufactures products of superior quality, low price and beautiful exterior to serve many industries. Our products has entered the international market. If you are interested in our products, please contact us as soon as possible.